All existing medical colleges will have to start P-G courses from academic year 2020-21, according to amendments made to the Post-Graduate Medical Education Regulations, 2000, of the Medical Council of India (MCI). The health ministry has approved the amendments and the new regulations would to be notified soon. New Delhi: According to amendments made to the Post-Graduate Medical Education Regulations, 2000, of the Medical Council of India (MCI), all existing medical colleges will have to start Post Graduate (PG) courses from academic year 2020-21. 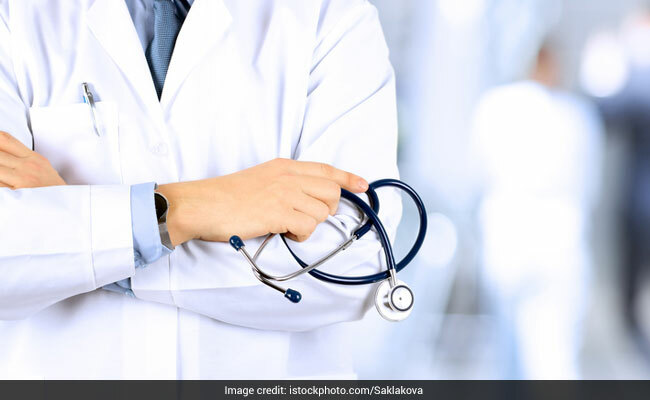 Press Trust of India reported that the amended regulations by MCI will also apply to new medical colleges, besides dealing with existing private and government colleges. The new regulations also suggest that the medical colleges will have to start PG courses within three years of receiving recognition for running undergraduate courses. A senior Health Ministry official told PTI that the institutions failing to comply with new regulations will lose their recognition. The Ministry of Health and Family Welfare has approved the MCI amendments and the new regulations would to be notified soon, reported PTI. The official also told PTI that the move is aiming to address the scarcity of doctors in the country. After the implementation, the government is expecting creation of 10,000 more PG medical seats in the country over the period of next four years. The official said medical colleges will have to apply for new seats for starting P-G courses. The MCI will conduct an inspection before giving its approval for increasing seats for 2019-20 academic session. In his budget presentation on February 1 this year, Finance Minister had announced an increase of 8,058 PG seats (4,058 in Phase-l by 2018-19 and 4,000 in Phase-ll by 2020-21). Later, a Cabinet Committee on Economic Affairs, chaired by the Prime Minister Narendra Modi, had given its approval for the increase of PG seats under Phase-II entail an amount of Rs.3,024 crore as central share to be spent till 2021-22 out of which an amount of Rs.1,700 crore is proposed to be spent till 2019-20 while Rs.317.24 crore as balance central share will be spent for Phase-I of PG seats. The existing rules suggest that the institutions recognised by the Medical Council of India for running Postgraduate courses prior to the commencement of the Indian Medical Council (Amendment) Act,1993 and those medical colleges recognised for running Bachelor of Medicine and Bachelor of Surgery (MBBS) course or institutions established by the Central Government for the purpose of imparting postgraduate medical education shall be eligible for starting any postgraduate degree or diploma and higher specialty course. The existing rule also mentions that the Central Government shall exempt any such existing/proposed non-teaching institutions or specialist institution or autonomous body owned and managed by the Central Government/State Government from fulfilling the prescribed provision of having an undergraduate teaching facility, and allow starting Postgraduate medical course.